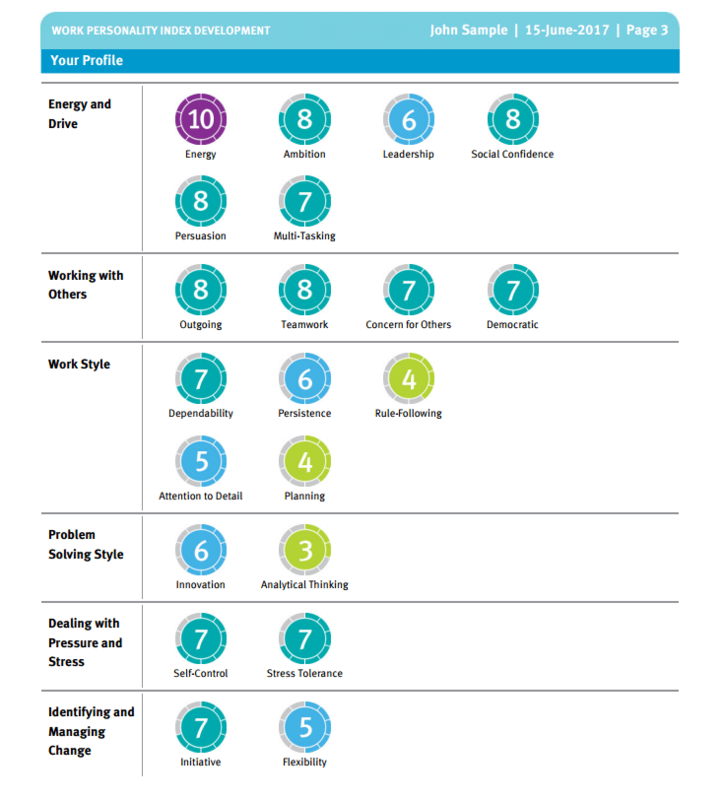 The Work Personality Index® Development Report contains interpretive notes that focus on personal growth, resulting in greater success at work. This report contains information about personal characteristics and behaviours that influence how individuals perform in work settings, as well as strengths to harness and areas for development. This report is designed as a tool for professional growth, and provides valuable information to help individuals to improve their effectiveness in the workplace. This report can be ordered and administered through our online assessment portal, CareerID, for 35 credits each. New to CareerID? Find out how to register.